One of the things I like to do when arriving to a new city is to get my bearings. Dublin isn’t huge, so it didn’t take long, but I suggest going on a walking tour or a hop on hop off bus. There are a few different options of bus companies but they basically all go to the same locations. The full loop is about 2 hours long. 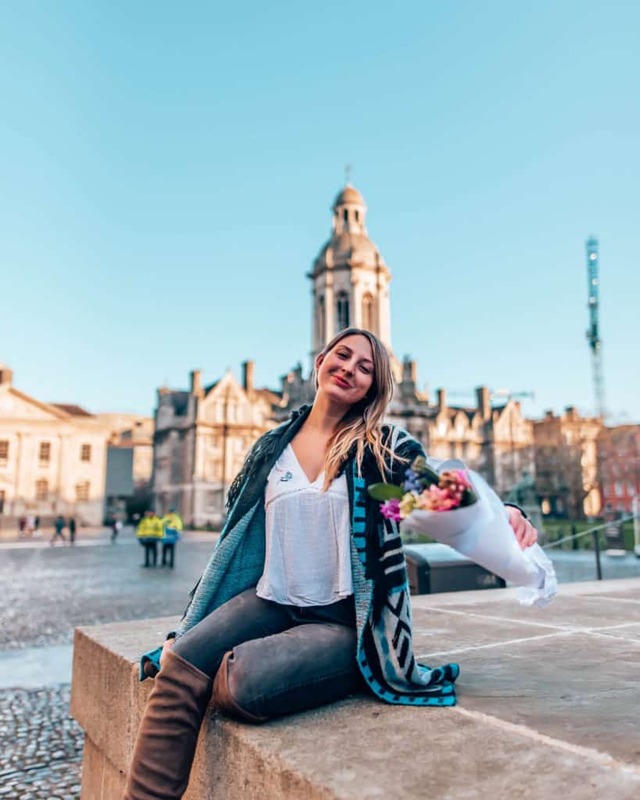 My favourite spots were St. Stephens Green(the city’s park), The Guinness Storehouse and Trinity College. 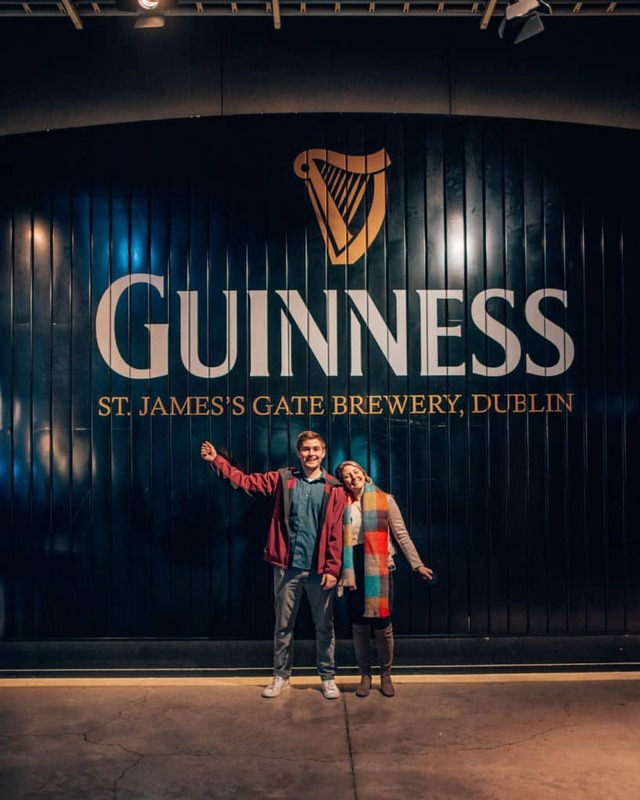 The Guinness Storehouse tour cost a whopping 20 Euros so it’s certainly not cheap. 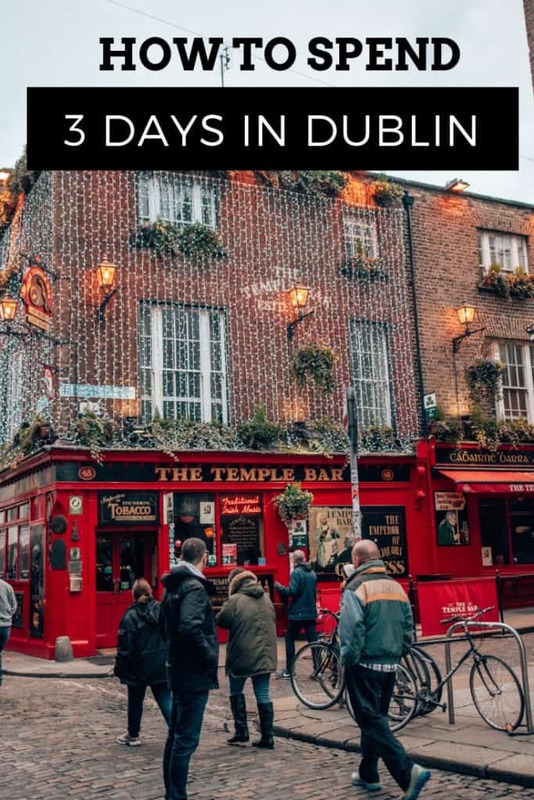 However this does include a free pint of Guinness and they have so many things to see there you need a good couple hours. 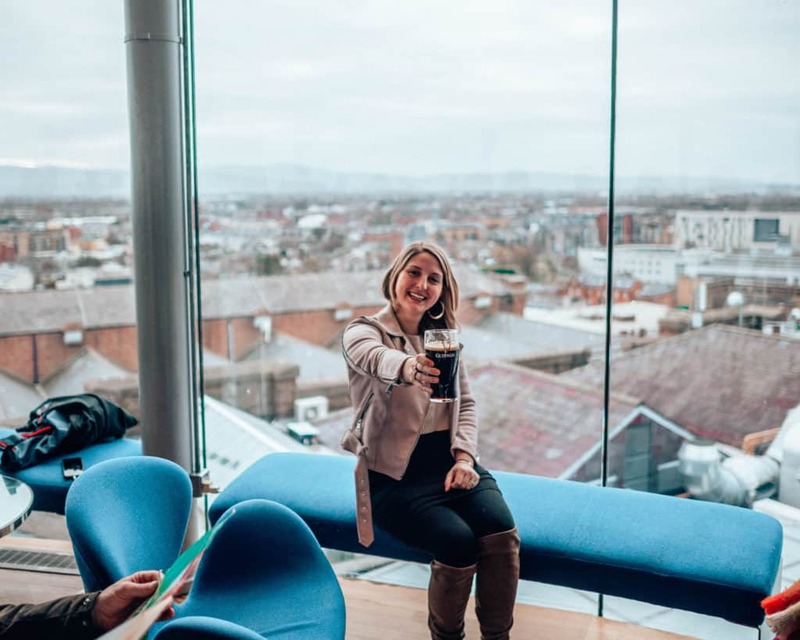 You can take your free Guinness to the Gravity bar on the top floor and enjoy a 360 degree view of the city! 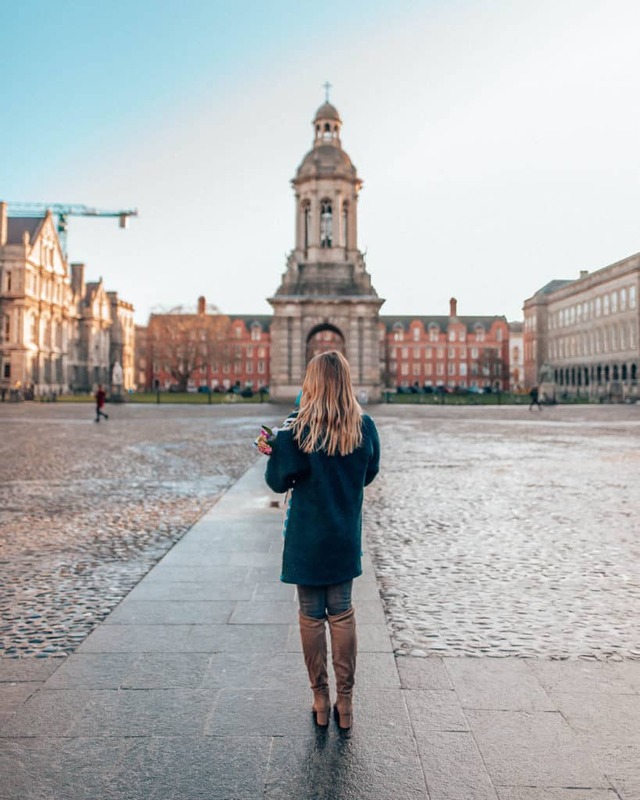 Trinity College has lovely grounds and their library is said to be one of the most beautiful libraries in the world! The Book of Kells is also in display here and 1 ticket gets you into both of these so called “attractions”. 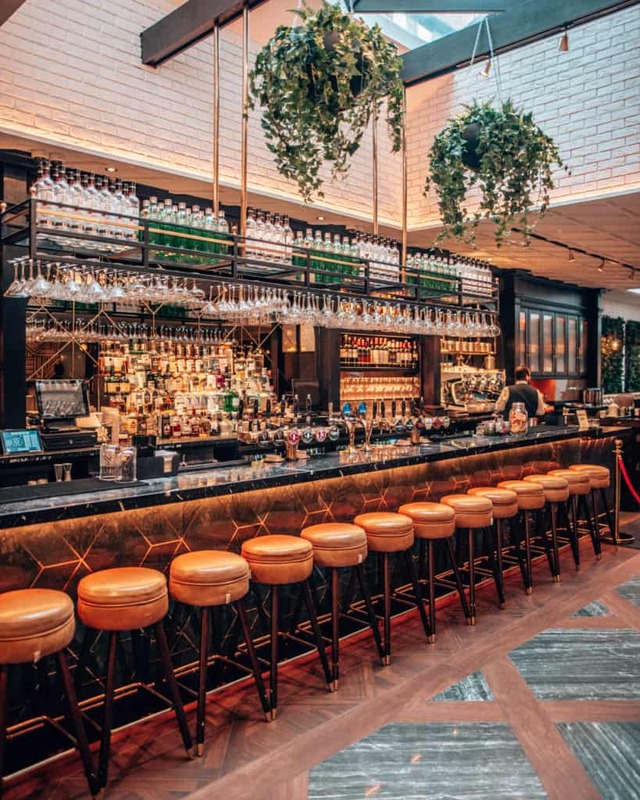 Head to Temple Bar for the evening for the ultimate Dublin day. 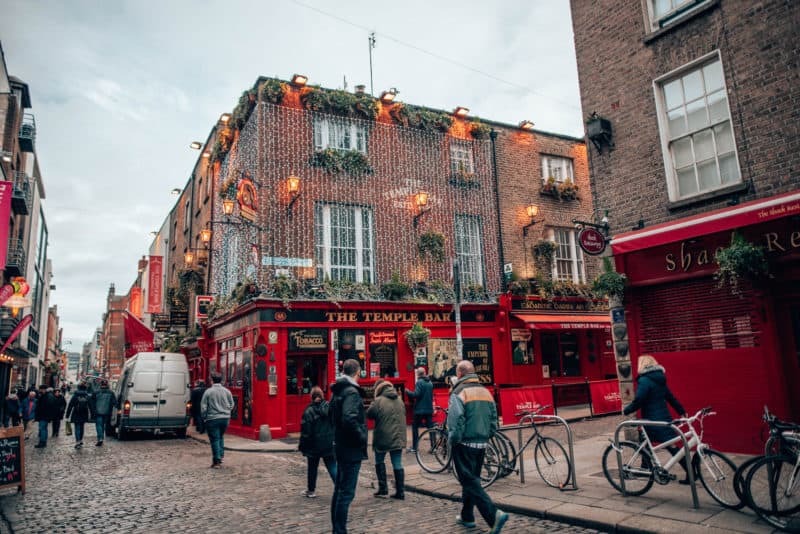 This is pretty much the most touristy part of Dublin which can sound like a negative thing, but this means there is always music and somewhere to go for a Guinness! Why not do a day tour! So this was actually my first time doing a coach day tour and there were definitely highs and lows. 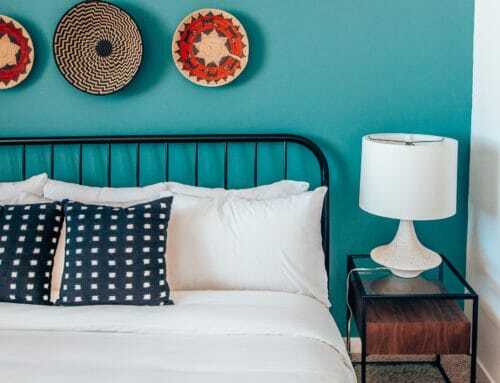 What’s great about it is, you hop on a bus and don’t have to worry about figuring out the itinerary, be worried about getting lost , AND you can just take a nap on that long drive. However, there were many negatives such as not getting enough time at some of the stops, the lunch stop was very rushed and very standard food, the issue of too many tourists all at one time trying to get a photo. 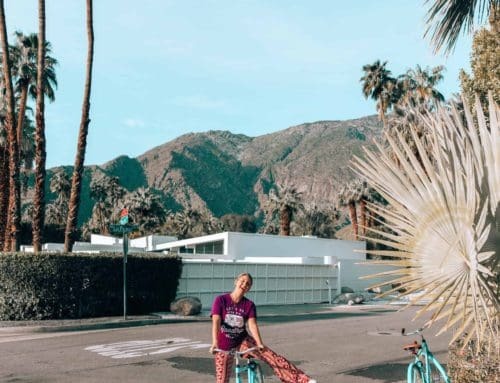 You may actually want to just rent a car for the day and do something at your own speed! Just as long as you’re okay driving on the left side. 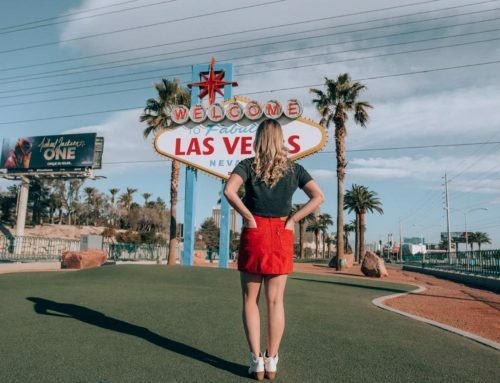 If you want to go to a fair few locations in a short amount of time a coach tour could be your answer. 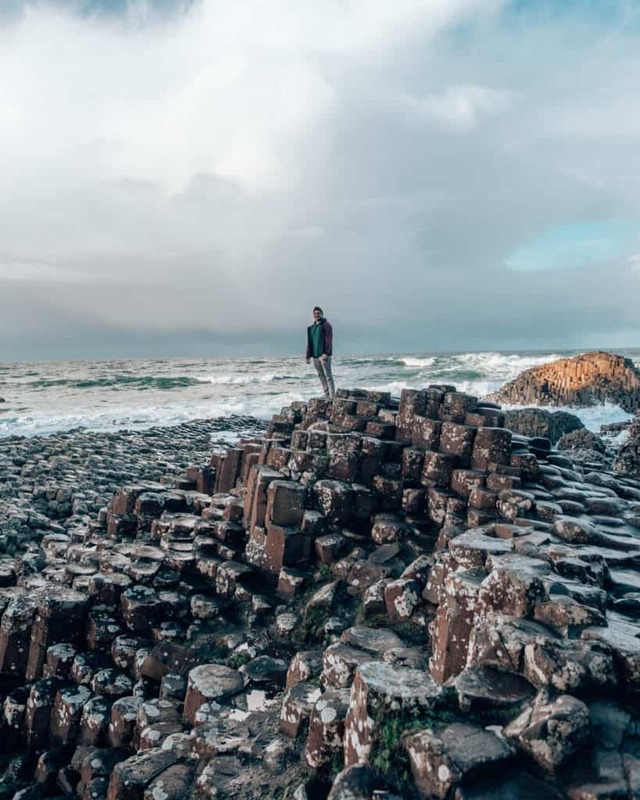 I did the Giants Causeway tour which stopped at The Dark Hedges, Carrick-a-rede, Giant’s Causeway, Dunluce Castle and Belfast. Go back and see whatever you feel you missed or didn’t get enough of on the first day. I ended up going back to Trinity College because on the first day the Book of Kells wasn’t on display. We also went to Drury street, one of the hippest streets in the city. There are lots of cute cafes, restaurants, shops here. 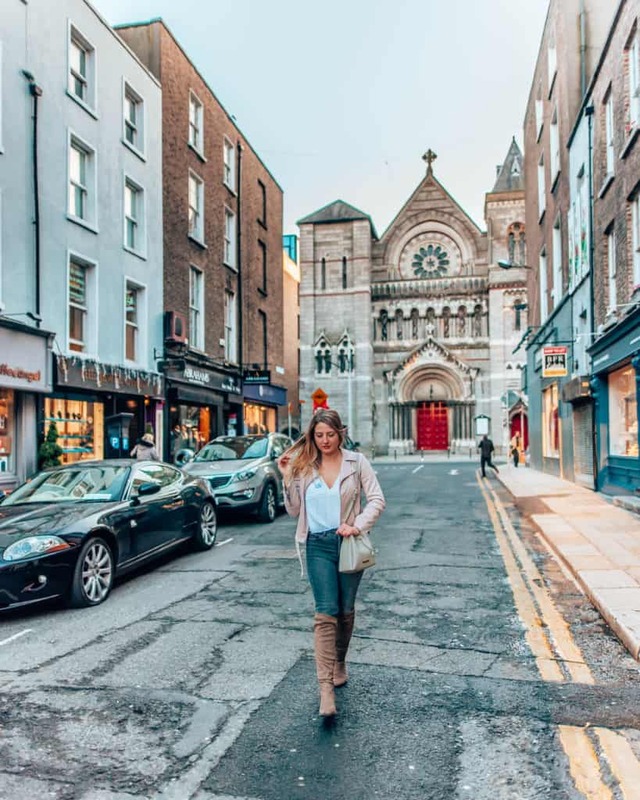 Grafton Street is the high street with all the big name brands, but make sure you look down the side street where St. Anne’s church is for a seriously instagrammable vantage point. 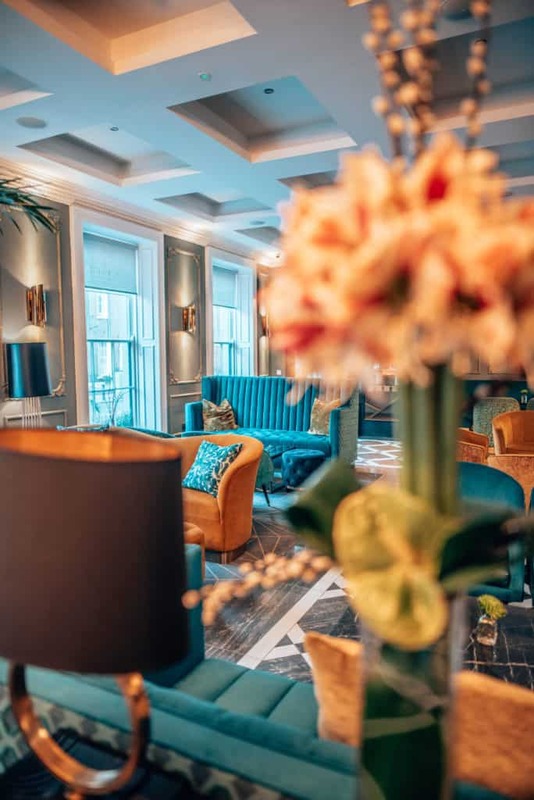 If you’re looking for a modern and stylish place to stay check out the Iveagh Garden Hotel. 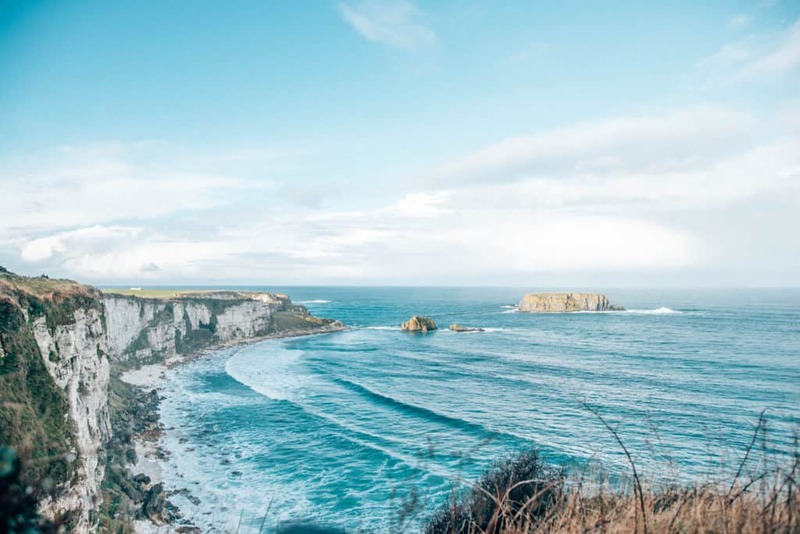 It’s in the beautiful Georgian District in Dublin’s centre so an easy walk to all the sights. Elle’s Bar and Bistro is their restaurant and a perfect place to start or end your day.